Joel’s review of Me Before You (2016) | Tales From The Ipe! It’s been a while since we’ve gone out to see a film, but we had chance on July 17. The kids were away, and we had date night. Namita had recently finished reading Me Before You, and the Hollywood film version of it would soon be out of theaters. We decided to go watch the film at the dinky little (and really run down) Digiplex Cranford 5, a Carmike Cinemas theater in Cranford NJ, Seriously, the theater was a bit of a dump. Small in size, but lots of broken seats and not very clean. You get what you pay for. In any case, the film was decent. 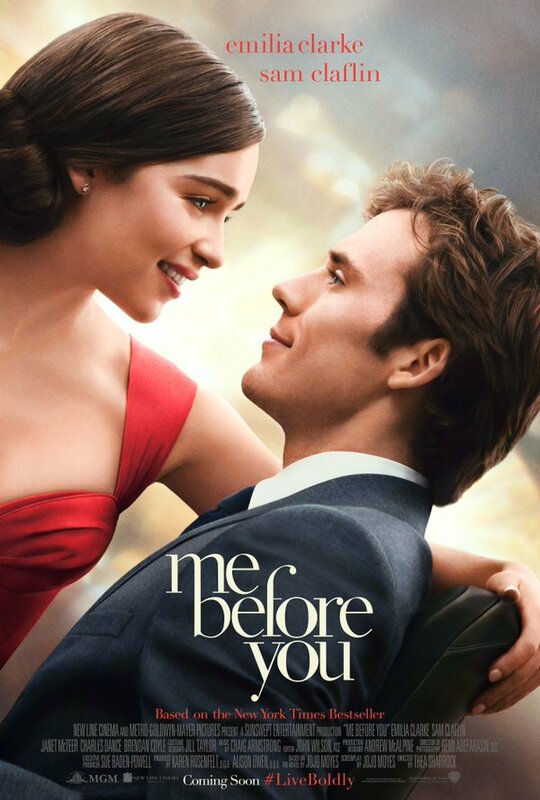 Starring Emilia Clarke and Sam Clafin, it’s about a rich man who becomes a quadriplegic during a freak accident. Emilia Clarke’s character is a young woman who becomes his caretaker. He’s a jerk, she’s got the quirky heart of gold. He’s a jerk to her, and she works hard to break through his defensive shell. Look at the movie poster — you know there’s romance a comin’. I’m not spoiling anything here. Afterwards, we grabbed dinner at Ambeli, a Greek restaurant in town, which we were lucky about, as most places were closing for the night. We ate outside, and the food was really good. The management was extremely nice — one side we ordered wasn’t very good, and they ended up comping us the side, and gave us two free desserts. Extremely nice restaurant staff. 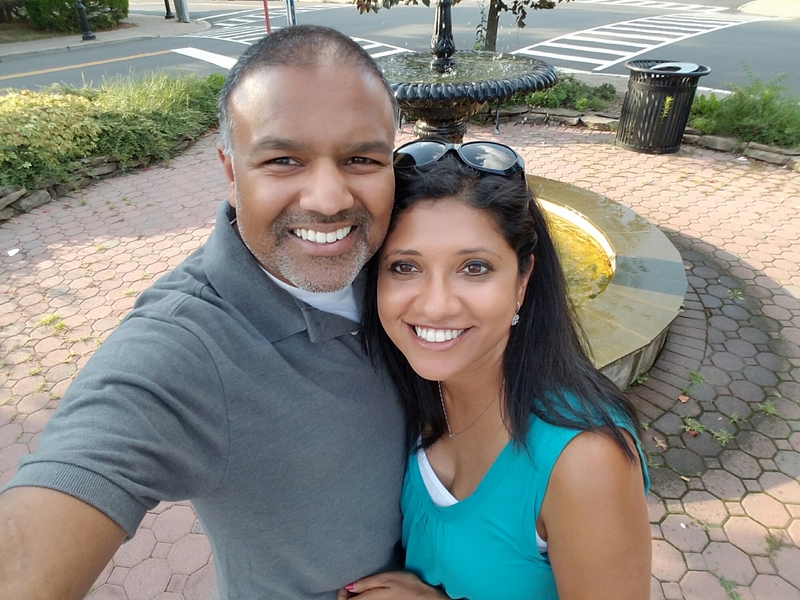 This entry was posted in Entertainment and tagged cranford, date night, greek cuisine, movies, namita, romantic. Bookmark the permalink.